The Christmas-coming of Beyzus wiped out just about anything else on the internet for days. But just because Beyoncé took a page from the Death Grips anti-marketing playbook, that doesn't mean the rest of the musical planet stopped revolving. Below you'll find three downloads that will improve your life in general and snuggle nicely next to your new Bey playlist. 'He of the bird machine' did a Christmas remix of his own biggest hit. It's really silly and really effective and you'll be happier after you hear it. The man also did a great mini-mix for Annie Mac a while back, so cop that if you haven't got it yet. Flying Lotus gave away an entire folder on his laptop called 'Ideas + drafts + loops'. It holds 24 (!) tracks including unreleased remixes for Kanye West (with bass genius Thundercat) and collaborations with Shabazz Palaces, DJ Mehdi and Baths. Download Flying Lotus 'Ideas + Drafts + Loops' for free right here. The Dungeon Dragon and Mr. Abstract On Point dropped a free mixtape collaboration with wall-to-wall quality tunes, veering from new work to reworked oldies and back again. 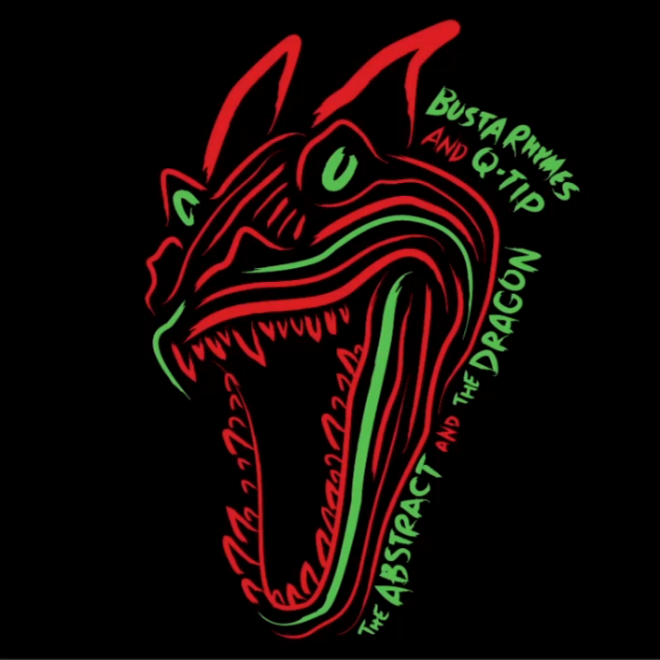 Great artwork too, referencing those Tribe Called Quest classics. Download 'The Abstract The Dragon'.